Purchasing gaming stocks is a process requiring the right timing for the optimal return on investment. 1. What Is a Stock and How Do Stocks Affect the Economy? 2. How Does the U.S. Stock Market Affect Japan? Gaming stocks involve companies that operate casino resorts and have multiple streams of income based on hospitality-related services. These securities give investors a unique opportunity to diversify their portfolios and hedge against specific risks in the financial markets. 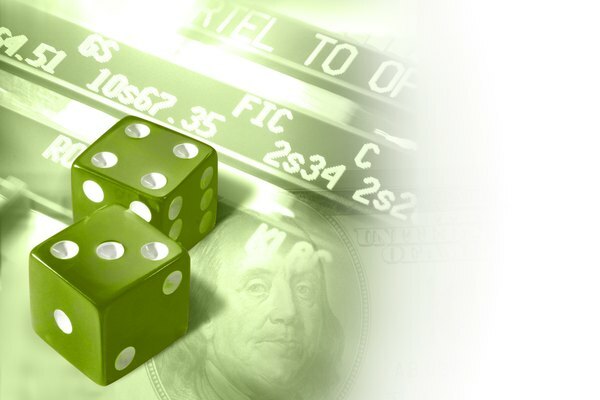 There are opportune times to acquire gaming stocks, but there is no guarantee of favorable returns. Senior leaders have a significant impact on the direction of an organization, which makes a management shake-up an ideal time to re-evaluate specific gaming stocks. Strategic objectives, operational goals, and product or service offerings are some of the items that undergo change with new leadership. Corporate America is full of turnaround stories that were ignited by new chief executive officers. A classic example is Steve Jobs at Apple, and the same thing is possible at gaming-related companies. Casinos tend to weather mild recessions well given the nature of the business and the allure of gambling. Patrons suffering from economic calamity are drawn to table games or slot machines, which translates into steady revenues for proprietors. However, it is important to note that severe recessions or depressions can translate into poor gaming stock prices. Investors looking to find shelter from declining stocks in other sectors often look to vice-related securities as a means to protect their portfolios. The revenue-generating potential of gaming stocks is directly tied to disposable incomes and discretionary spending by global consumers. If the stock market or the global economy is on the uptick, then it may be a good time to invest. Companies such as MGM Resorts International operate in the U.S. and other places around the world, including Macau, China. When contemplating investment decisions, it is important to consider a company’s global holdings before making acquisitions or divestitures. Synergies and new competitive advantages are often the result of corporate mergers and acquisitions. If two struggling casino resort companies combine, their cumulative strengths may create a competitive edge in the marketplace. Oftentimes large corporations are able to consolidate support services such as accounting and marketing, which reduces overhead expenses and increases net profit. Enhanced earnings per share is also an ancillary benefit making stocks more attractive for investors. As global markets continue to develop, gaming companies are expanding into foreign countries in an effort to grow operations and increase top-line sales. New casino resorts in Asia and the Middle East have the power to draw in clientele and increase earnings per share. There is always risk inherent in decisions to move into new markets, but there is also the potential for handsome rewards. Risk and return is what makes investing in gaming stocks intriguing. Which Stocks Are the Most Volatile?